Special thanks to Daryl and to Pete for sending these in. 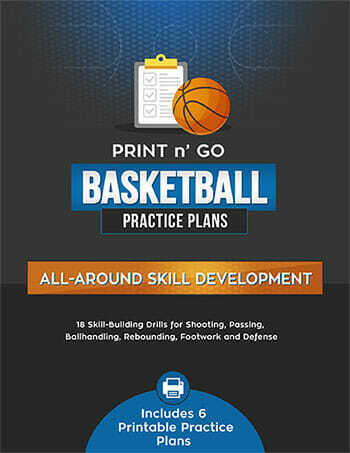 If you’re looking for [tag]basketball drills[/tag] to teach [tag]basketball skills for kids[/tag] you should try these out! 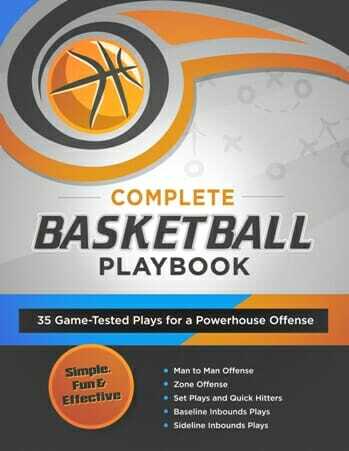 Here’s a [tag]block-out drill[/tag] I picked up from another coach, I just made a couple changes in the [tag]basketball drill[/tag]. Place the [tag]basketball[/tag] below the rim or in the middle of the 3 second lane on the floor; have 3, 4 or 5 offensive players on the perimeter, and match up by size with the same amount of defensive players. Place 3 seconds on the clock, when the coach blows the whistle or says “Go”, the defense must block out until the horn sounds. The offense tries to touch the ball before the horn sounds. Do this 5 times, then switch the offense and defensive players around and repeat. Pick 5 spots outside the key…baseline, elbow…top, elbow, baseline. Start at baseline…to move to the next spot, you have to hit two shots in a row. Same thing at next spot. If you miss a shot…you move back one spot. After the 5 spots…you then shoot 5 free throws in a row. 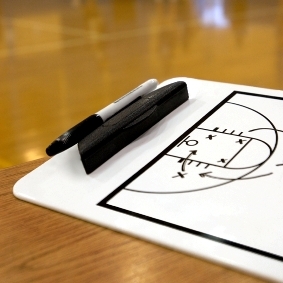 If you miss a free throw…you start over…from the beginning! 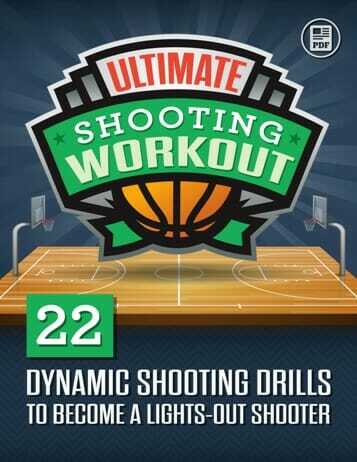 Simple drill…can be modified regarding # of shots, # of FT’s etc. Good mental training…anxiety increases as you near the finish. Do this as a team…first one to finish wins. Can add punishment for losers.